After cracking a major drug ring and arresting all the culprits, police detective Hsiu is shot down and killed by the gang's escaped ringleader, Swatow. 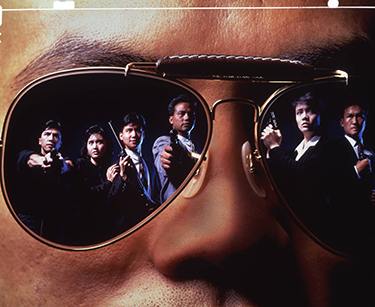 Hsiu's fiancé Shirley (Carol Cheng) and colleague Fang (Jacky Cheung), both members of the police's Anti-Drug Division, begin to investigate and discover Hsiu's shady involvement with the drug ring. As they delve deeper into the case, they soon uncover an elaborate and illegal plot involving senior officer Feng (Ng Man Tat) and other corrupt police officers from their division.